Link: Part 1 – Ukraine Becoming A Terrorist State? “As a result, the country was de facto split. 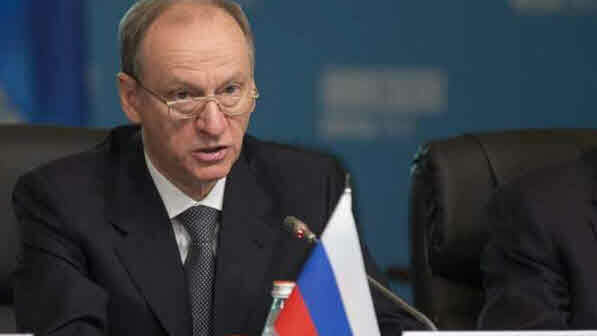 The population of the western regions does not trust natives of southeast considering them to be supporters of the ‘Russian world.” In southern and eastern regions, Kiev’s power is ensured, to a large extent, at the expense of moral and physical pressure exerted on the local population by radical nationalists,” Patrushev stressed. And “Because of that, anti-government sentiment in the aforementioned regions is mounting, with the public rift exacerbated by the inter-church standoff,” he added. What Nostradamus foresaw about Ukraine? BATTLE FOR WORLD – January 15, 2019: The French seer Nostradamus foresaw long ago what was to come for Ukraine and wrote a quatrain about it. BATTLE FOR WORLD / TASS | April 23, 2019: The article highlights that the UK and other Western countries seek to use Ukraine as an instrument of military-political confrontation with Russia, said the Russian Embassy in London on Tuesday (April 23) in comments on statements made by the British Foreign Secretary Jeremy Hunt as he was congratulating Vladimir Zelensky on being elected as the new President of Ukraine. “Such statements only underline that the real aim of the so-called support provided over the last years to the Ukrainian government by the UK and other Western countries is not at all helping the Ukrainian people and improving their lives, but using Ukraine as a tool of military-political confrontation with Russia,” the embassy said in a commentary. BATTLE FOR WORLD / TASS – January 15, 2018: The article highlights that the creation of the “The new religious organization is a purely political, secular project. Its main goal is to drive a wedge between the peoples of Russia and Ukraine, to incite not only ethnic tensions, but also religious ones. Kiev’s words of ‘regaining independence from Moscow’ are of no coincidence,” said Russian President Vladimir Putin said in an interview with Serbia’s Vecernje Novosti newspaper in the run-up to his visit to Belgrade. Putin reiterated that on December 15, the Kiev government, with active support of the United States and the Ecumenical Patriarchate of Constantinople hosted the so-called ‘unification’ council to announce the creation of the so-called Orthodox Church of Ukraine (PCU). Therefore, an attempt has been made to legalize Ukraine’s schismatic groups under the jurisdiction of Constantinople, in breach of the existing Orthodox canons. Putin stressed that those facts were largely ignored by the Ukrainian and US leadership due to the practical political goals that the Ukrainian autocephaly is intended to achieve. The canonical Ukrainian Orthodox Church refused to attend the ‘unification council’ and dubbed the Tomos as a legitimized schism, which had existed in the Ukrainian Orthodox Church for 30 years. Putin said Russia had no plans to interfere into the religious processes currently under way in Ukraine, but will keep expressing its concern by attempts to legitimize a religious schism. BATTLE FOR WORLD / TASS | March 11, 2019: The article highlights that Ukrainian President Pyotr Poroshenko has declared a new missile program underway which will create high-precision weapons for “aiming at targets far into enemy territory,” writes Nezavisimaya Gazeta. Poroshenko announced that with the collapse of the Intermediate-Range Nuclear Forces Treaty, Ukraine was no more committed to certain restrictions and obligations. And that Kiev needs high-precision missiles and it was not going to repeat the mistakes of the Budapest Memorandum. The refusal of the Ukrainian president not to comply with the restrictions on the range and capacity of missiles may mean that these armaments may be equipped with nuclear warheads. BATTLE FOR WORLD / RT | February 25, 2019: The article highlights that the American guided missile destroyer USS Donald Cook docks in Odessa, Ukraine – Monday (February 25). BATTLE FOR WORLD / TASS | March 25, 2019: The article highlights that operatives from American and British intelligence services are directly participating in hatching secret plots with Ukraine’s Security Service (SBU) and training personnel to carry them out, SBU ex-employee Vasily Prozorov said at a news conference on Monday (March 25). “I do not know for what motives. I believe this is for not only security but also conspiracy reasons, because CIA employees have been present in Kiev since 2014. They are residing in clandestine apartments and suburban houses,” said Prozorov.